I was at home for about a week and a half toward the end of June. During that time I went back to work rebuilding the landing gear on my Swift. I’ll make a few posts on that process in the next day or so. I even managed to take some pictures of the process this time. The left main gear rebuild took me two months of working during breaks between trips. The right one is now 90% finished after a week of steady work and long days in a 95 degree hanger. Between the heat, the solvent, the hydraulic fluid and the paint, I had to change clothes just to get into my truck and drive home. My wife would always stay upwind until I got a long hot shower and changed clothes yet again. I manage to wear several hats when I’m around the airport. The most often worn hat has the general “airport bum” identifier, but two more are associated with my involvement with EAA. One hat is labeled Technical Counselor and the other is labeled Flight Advisor. 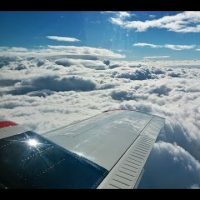 They are both great programs for the amateur aircraft builder. As a Tech. Counselor I visit the builder as the building project progresses, look over the work that is accomplished and, if warranted, make suggestions or answer questions about alternate ways to approach a problem area. I then write up a short description of the project, the progress that has been made and the things that were discussed during the visit. The builder signs the form and keeps a copy for the aircraft building records, I keep a copy and I send the original to EAA headquarters. 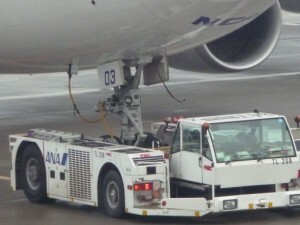 There are several aircraft under construction on our airport. Two that I have been involved with lately are RV models. 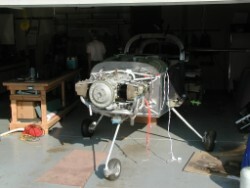 I took a look at an RV-9A the other day that is being build in the person’s garage. You can see that the builder is well along in the process. Something like 80% completed with another 90% to go. That’s the way is always seems, anyway. Lots of detail work to be done that seems to take forever. 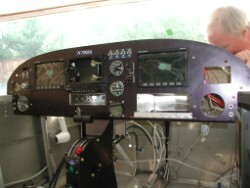 It’s a nice instrument panel with the Dynon flat panel displays. 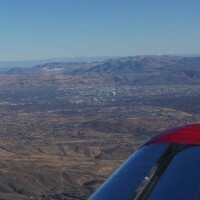 The empty space in the center is to be the home of a Garmin 495 or 496. Now I’m out on the road again. I just had a layover in Hong Kong, but was so beat that I spent the majority of the time asleep, trying to catch up after several short nights. Tomorrow is a short flight to Shanghai with a quick layover at the airport hotel, than back here to Tokyo and home the day after that. With a bit of luck I’ll finish the Swift landing gear rebuild this time at home and possibly get most of the annual complete. 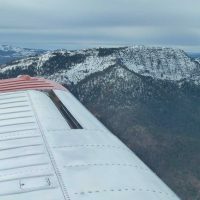 It would be nice to go flying again – the real kind, not the high altitude programming that widebody airline flying has become.